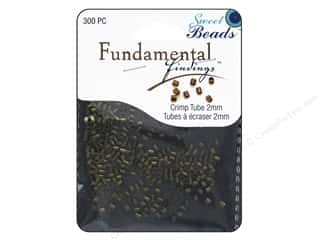 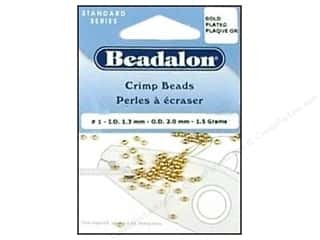 Beadalon Crimp Bead Variety Pack Gold Plated 600 pc. 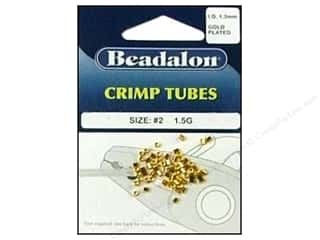 Beadalon Crimp Tubes 2 mm Gold .05 oz. 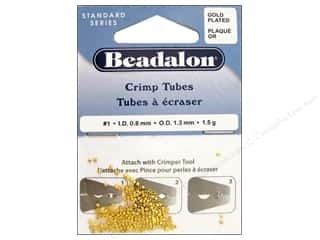 Beadalon CrimpTubes 1.8 mm Gold .05 oz. 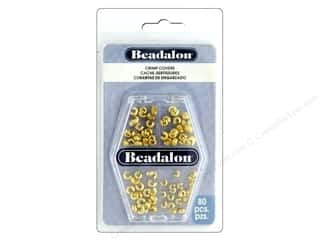 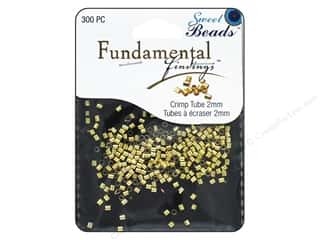 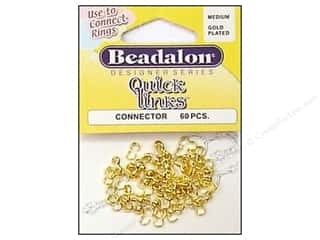 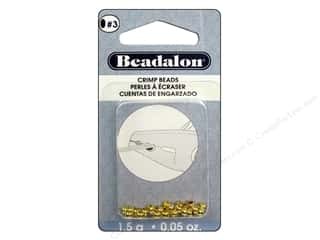 Beadalon Crimp Beads 2.5 mm Gold .05 oz. 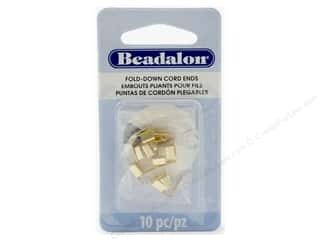 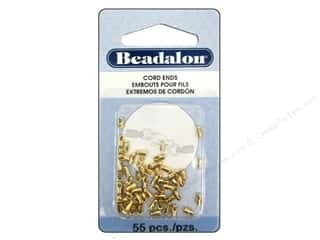 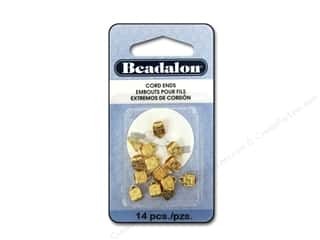 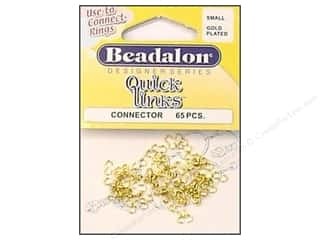 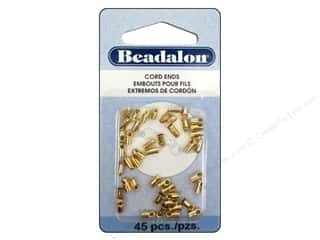 Beadalon Cord Ends Light 1.9 mm Gold 45 pc. 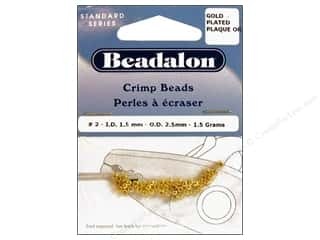 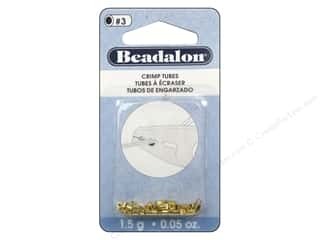 Beadalon C-Crimp Cord Ends 1.9 mm Gold 14 pc. 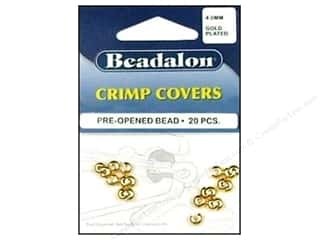 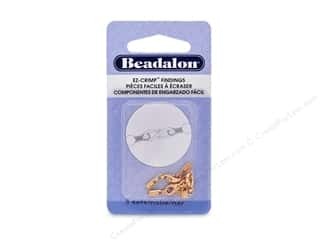 Beadalon Crimp Covers 4 mm Gold 20 pc. 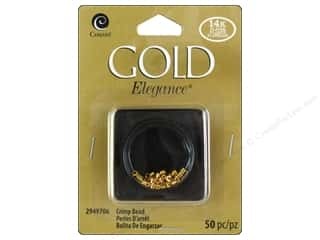 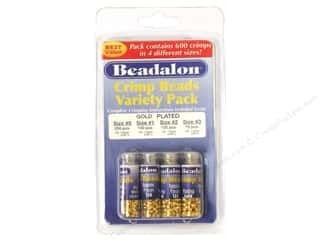 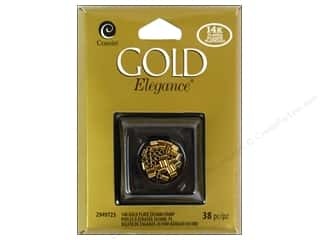 Beadalon Crimp Covers Variety Pack Gold Plated 80 pc.